Floyd's furniture offerings continue to expand. 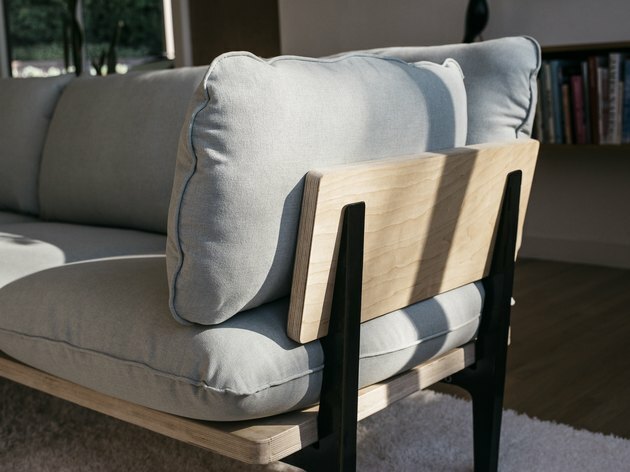 It all began with a bed, but today the Detroit-based company also sells a table, desk, side table, and as of most recently, a sofa. 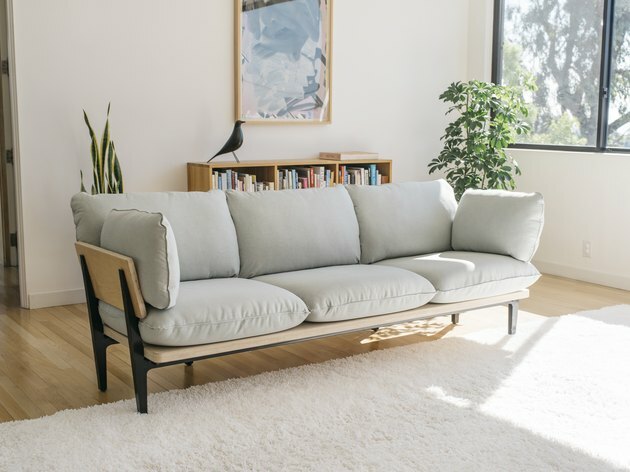 The new Floyd sofa launches at the beginning of October, but is available for pre-order September 17. The Sofa can be customized to fit your space — it's available as a two-seater, three-seater, or as a sectional (a three-seater with a chaise). You can pick from an upholstered or birch wood frame. The cushions are available in four color-ways: Spa (a light blue), Ocean Dive (a dark blue), Saffron (a mustard yellow), and Moon Landing (a light gray). And, of course, its modern look goes along famously with all the rest of your Floyd furniture. 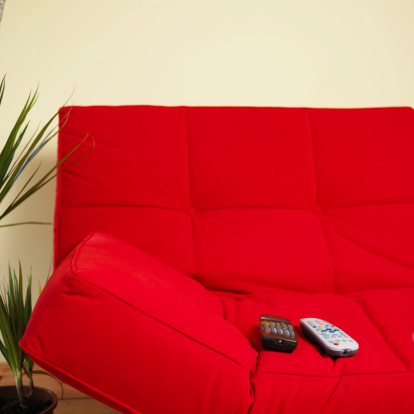 The Sofa ships flat-packed, but is easy to assemble. Its frame is made of sturdy powder-coated steel and wood. Prices range from $1,200 to $1,600. All anyone furnishing a new home wants is free shipping and for their furniture to arrive like, yesterday. While the team at Floyd isn't capable of time travel, they do offer one service we don't see every day in e-commerce: same-day delivery, and for free. 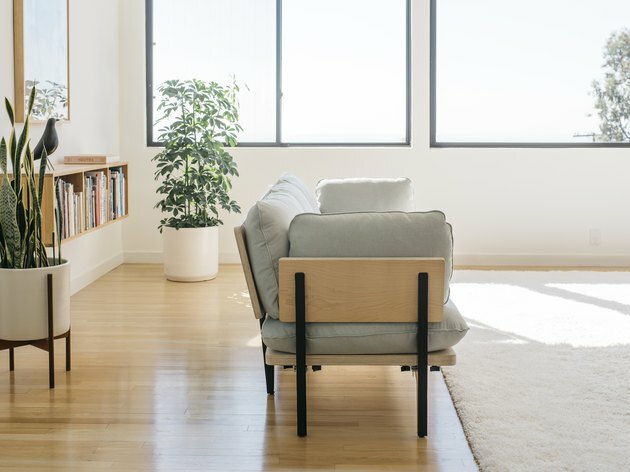 This service is available seven days a week for several of their items — the Platform Bed, the Table, and once it launches, the Sofa — in New York City, San Francisco, Los Angeles, and Chicago. Nice. We wonder which furniture category Floyd will tackle next.